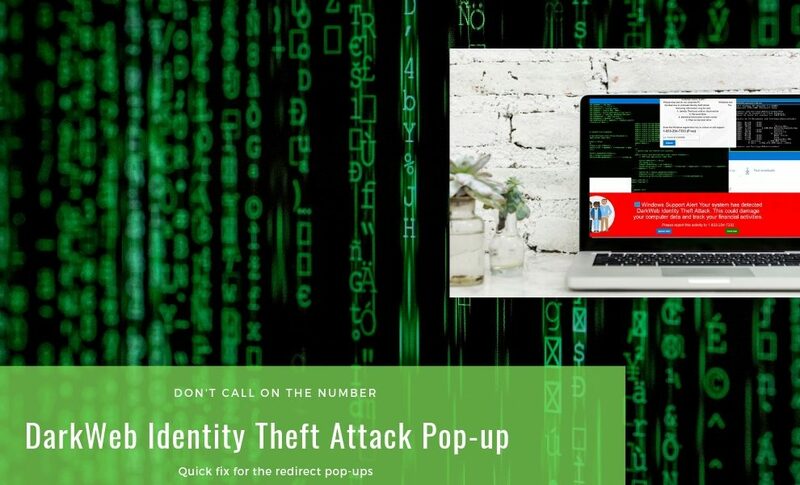 If you are encountering “DarkWeb Identity Theft Attack” pop-ups on your web browser, then you need an assistance to remove it. Let us begin with knowing the real truth behind “DarkWeb Identity Theft Attack” pop-ups that threaten users by stating that their personal information is endanger. What is “DarkWeb Identity Theft Attack” pop-ups? Well, it is nothing more than a scam that is spreading through social engineering ways and try to control the browser. It displays full screen warnings that appears to be too scary. Even you try to close them numerous times, it won’t go away. There is a Dark web named virus that is out in the wild and affecting millions of users by stealing their personal data. Thus, there is no surprise that some spammers are using its name to trick users. Just like the Zeus Trojan virus that is one of the most successful banking Trojan threat. Now the cyber criminals are disguising as “ZEUS virus Detected” tech scam pop-ups to threaten users like this one. So don’t get hooked up with “DarkWeb Identity Theft Attack” scam activities. Why am I getting “DarkWeb Identity Theft Attack” pop-ups on my browser? Generally, users get shocked to suddenly see such weird pop-ups on their browser. It’s because of you clicked some fake ads, accidentally install some extensions or just downloaded few potentially unwanted programs. 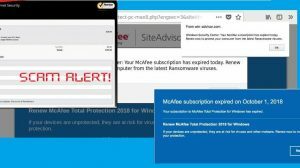 As much as Adware are concerned, they may silently hook up to your computer, along with some free bundled downloads. Why we always go for free stuffs? Don’t we know there is nothing for free in this world. Think of why you should provide sometime for free to someone in this digital world? It’s a big question. Now you may have its answer yourself. They get advertising benefits from your free downloads. And we usually end up installing some Adware or PUP. And sometimes even any Trojan or malware. So, try avoiding downloading freeware from third-party sites. Instead go for the official website to download the trail versions of the software and if it seems useful to you then purchase it to make it ad-free. What harm “DarkWeb Identity Theft Attack” pop-up can do? The fake “DarkWeb Identity Theft Attack” messages are shown in a web page that you encounter while browsing. 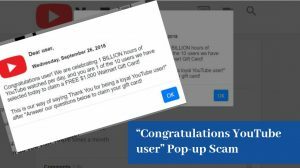 The pop-up is designed to appear to be legitimate and from Windows. The warning clearly says that your computer is infected with DarkWeb attack and your data stored on your computer might be stolen. Your system has detected DarkWeb Identity Theft Attack. After analyzing the above message, it is clear that they using trying to mislead users into thinking that there personal information could be stolen for illegal purposes. And they ask users to call on the provided number for technical support. But before you indulge yourself into calling this number and being tricked, let me tell you please never attempt calling on this number. There are various Microsoft Tech scams that cheat users into and make huge profits. Let’s explain you the scenario when you call on the provided tech scam number. They will ask you politely to remotely access your computer for troubleshooting issues. Once you do this, they will show fake scan reports claiming that your computer is infected. And will ask you to pay for the services that are completely worthless. What if you deny to pay? Trust me they will not let you do so, they will try to convince you with numerous problems on your computer, data being traced and so. They even attempt to block your screen until you agree to pay. You must not make any purchases or better to avoid calling on the number. Even how much time you receive pop-ups or warnings. Microsoft or Windows never call or send such pop-ups. In case you have already paid then you should contact to your credit card provider to block the payment or ask for charge back. What should I Do To Remove “DarkWeb Identity Theft Attack” pop-up? It is very important to detect and remove Adware include fake browser extensions, browser shortcuts and revert back the changes made by the harmful programs. Fortunately, this guide will help you to perform the removal with ease. It takes a lot of time and patience to remove “DarkWeb Identity Theft Attack” pop-up as we don’t even know where it is hiding or under what name. But better to play safe with it and why not opt for automatic removal of “DarkWeb Identity Theft Attack” pop-up with a helpful tool. “DarkWeb Identity Theft Attack” may reinstall itself multiple times if you don’t delete its core files. We recommend downloading Spyhunter to scan for malicious programs. This may save your precious time and effort. 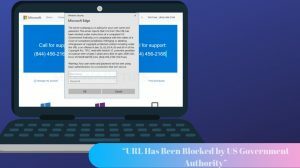 Scan the infected computer to remove “DarkWeb Identity Theft Attack” pop-up virus and other Adware. Note: All manual steps above steps may stop these pop-ups temporary but it does not guarantee the full removal. The adware controlling it have the capability to modify the above settings again and again, till the virus is not completely been removed. If you are not familiar with the above steps then, we recommend you to choose the automatic removal of DarkWeb Identity Theft Attack pop-up redirect virus. 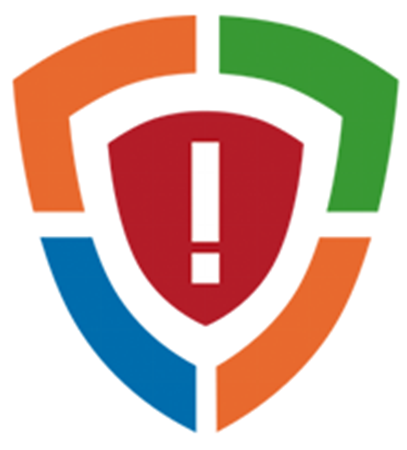 Remove “DarkWeb Identity Theft Attack” using HitmanPro.Alert. If you paid for such fake services, then quickly call your credit card provider to stop the payment. Do not open spam emails and download its attachments unless verifying the source. This is the common way through virus intrude inside. Thus, we should be cautious while getting mails from non-trusted sources.